About Madata Khaja Recipe: A traditional Andhra dessert, Madata Khaja is a delicious dessert prepared from flour, dipped in sugar syrup. 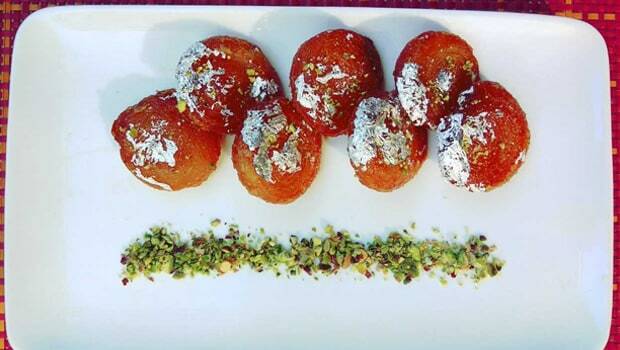 This Indian dessert is made specially during the festivals and celebratory occasions. This sweet is also popularly known as andhra chirotti because of its taste and texture. An easy and simple recipe to prepare and serve as a dessert at dinner parties. 1.Combine, flour baking powder, salt and ghee, rubbing the ghee in by short crust method to form a crumb sort of texture, use water as required lightly, and knead into a stiff dough like a biscuit. 2.Cover and let rest for 10 minutes. 3.Roll out and divide the dough in 12 small round balls. 4.Further divide each dough in to 3 parts. 5.Now roll out each small dough like a puri, apply ghee and stack the three puris one top of another. 6.Roll out the stacks like a kathi roll, cut in to two and flatten. 7.Once flattened , they are ready to be fried in oil till golden. 8.Immerse the fried madata’s in the sugar syrup, sprinkle cardamom powder. 9.Take out of sugar syrup, allow to dry and store in air tight containers. It's is heavenly tasty ! This recipe is very useful! My family loved it ! I loved this recipe !